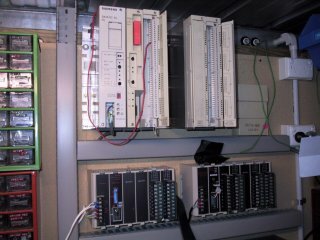 Craneelectronics has extensive experience with Program Logic Controllers (PLC) and Human Machine Interface Systems (HMI) for the food, plastics and grain (wheat) manufacturing industries. Siemens/Texas, Allen Bradley, Hitachi, Omron PLC systems and ABB, Honeywell Distributed Control Systems (DCS) are all in our area of expertise. Your HMI needs can be catered for no matter what the application.